Cooking inspires people, and people inspire us. This is the basic principle behind everything we do at NEFF. So, let nothing get in the way of your cooking ideas. 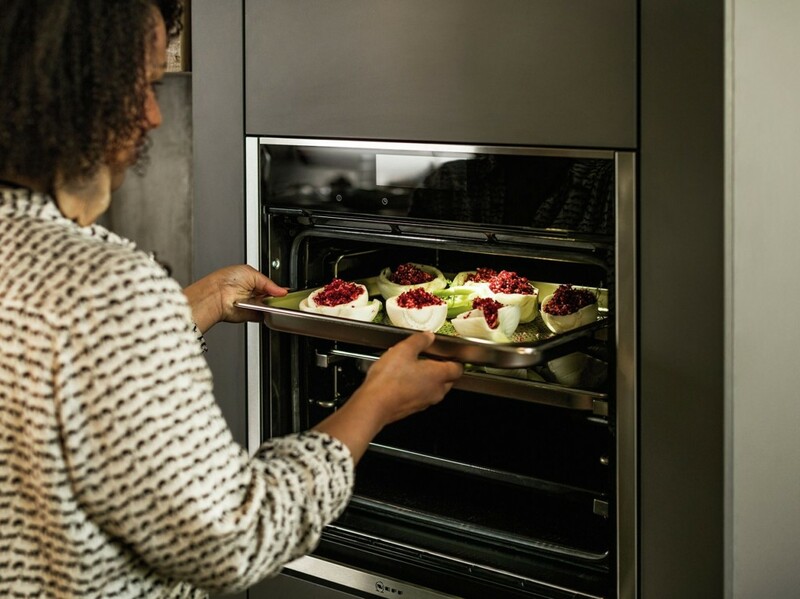 Our innovative products help you to prepare mouthwatering food – whether it’s a four-course dinner or a dessert you just can’t get enough of – a NEFF kitchen is equipped for every dish. At NEFF, we appreciate that every customer has a unique set of requirements. We’ve done our best to make our oven range as varied as possible to suit every kitchen. There are three types of ovens in the NEFF collection, single, double and compact ovens. Create your perfect kitchen by seamlessly stacking single ovens and compact appliances within the Premium Collection range. 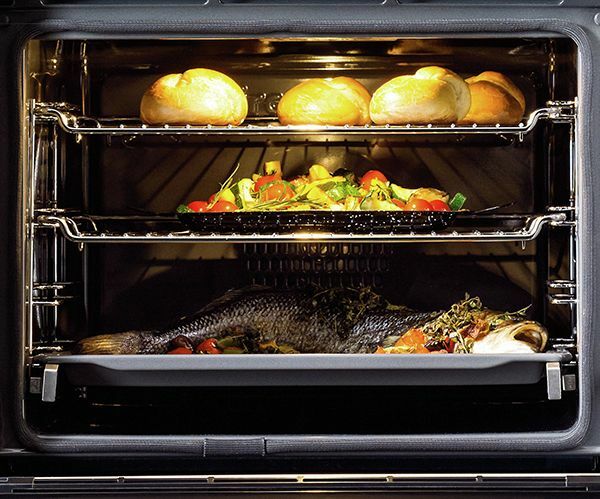 Bake, grill or steam- our ovens are made to make the most out of your cooking ideas. The CircoTherm hot air system puts even more possibilities at your fingertips. If you’re into cooking, the oven is a quintessential part of what you love. Our oven range enables you the enjoy your very own cooking experince. Steam, Slide&Hide®, CircoTherm®, compact or double ovens with innovative features let you cook up almost anything you can think of. When you’re passionate about food, nothing should get in the way of your cooking. Neff’s unique Slide&Hide® door is the only oven door that slides away under the oven cavity. 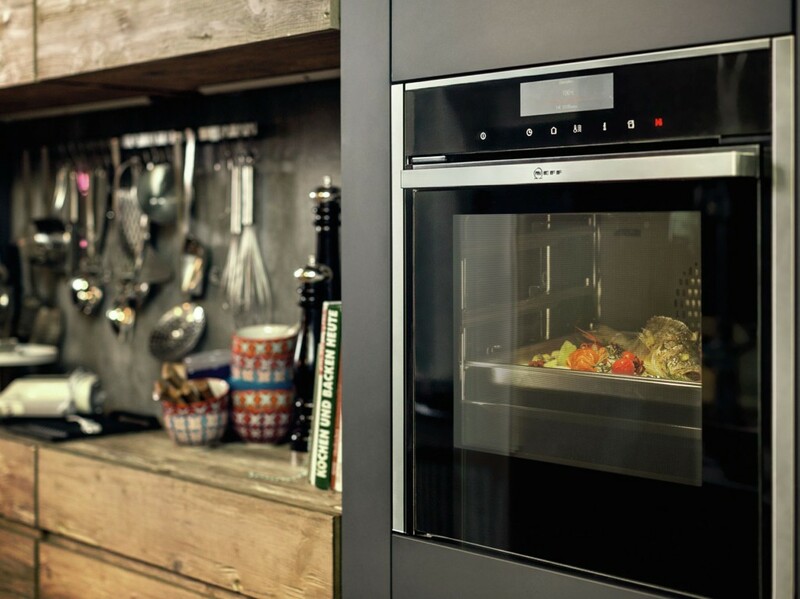 With easier access to the oven, basting, tasting and monitoring dishes is much easier. 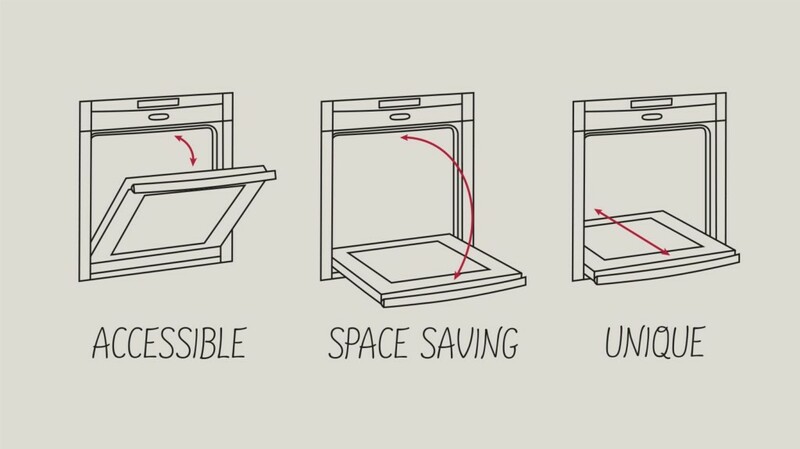 Slides and hides to give you easier accessibility to the oven cavity. starter for friends and family. 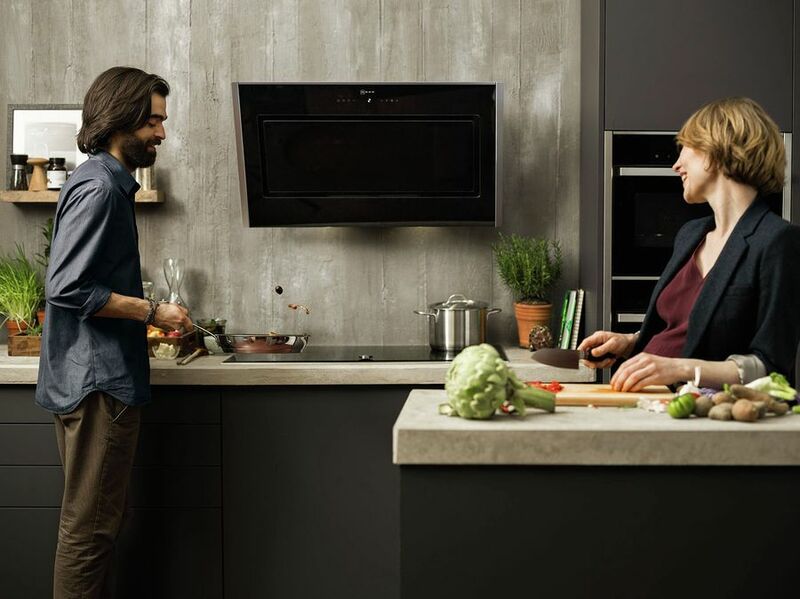 The disappearing door isn’t the only feature you’ll discover on our range of ovens. We have a range of cooking features to suit your lifestyle and how you cook, enhancing every recipe. Three intensity levels let you add the right amount of moisture for delicious roasting, baking and reheating. 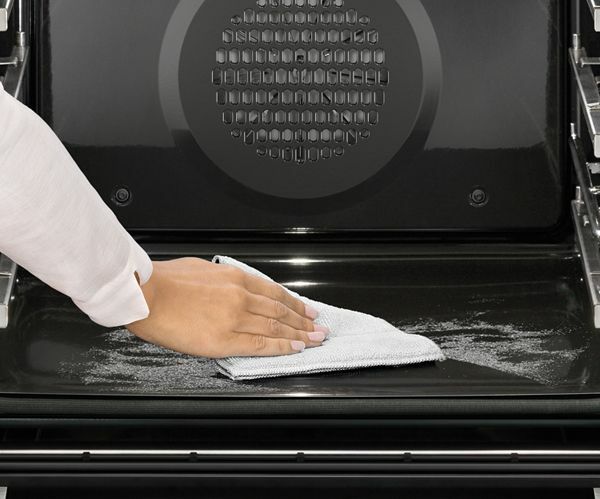 Enjoy a shiny, spotless oven at the touch of a button, with effortless self-cleaning. Unique fan technology that lets you cook multiple dishes on up to 3 or 4 shelves, without intermingling of flavours. 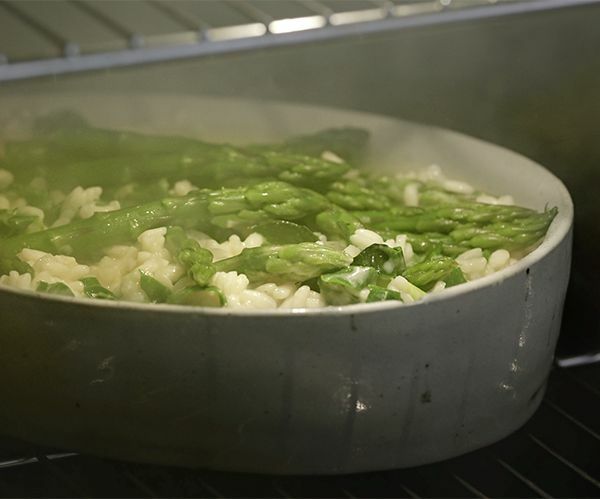 A fully functioning oven and steamer in one, it locks in food’s nutrients and enhances flavours. 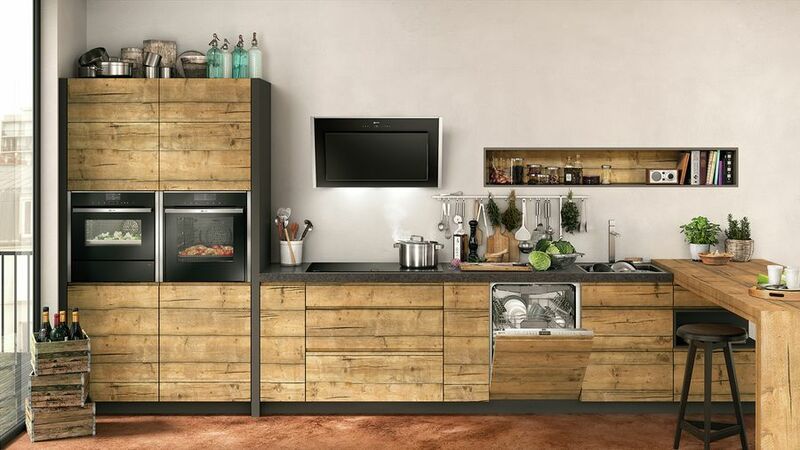 Double built-in oven – perfect for grilling, baking and roasting of multiple dishes at the same time. Pyrolytic following heavy use – just let the oven interior clean itself. EasyClean® – the quick and easy option for day to day maintenance. 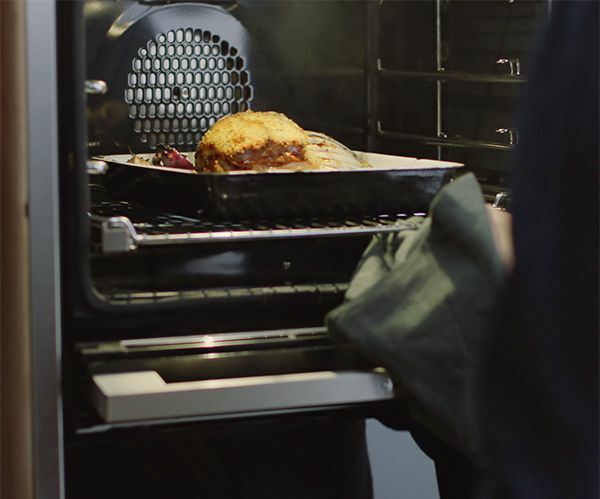 When you activate the pyrolytic self-cleaning cycle, high temperatures of up to 485C turn baking, roasting and grilling spatter and residue into ash. Once the oven has cooled you can simply wipe it away with a cloth. That’s all there is to it! With the Stylish and innovative Slide&Hide® single oven now available with pyrolytic self-cleaning, cleaning up those little spills won’t eat into your dining time. Our FullSteam oven combines all the heating modes of a full-featured oven with those of a steam oven, in one single appliance. Ideal for fish and vegetables, nutrients are retained and food is left beautifully flavoursome. It’s easy to operate and also simple to refill the concealed one litre water container – press a button to open the front panel, remove the container, fill it and you’re ready to steam ahead. 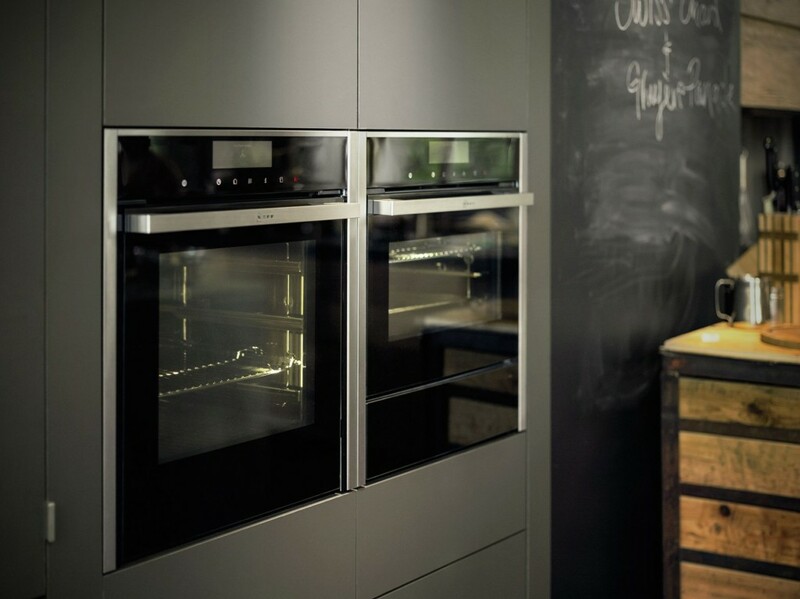 Our range of single ovens are designed to be the centrepiece of creative kitchens. 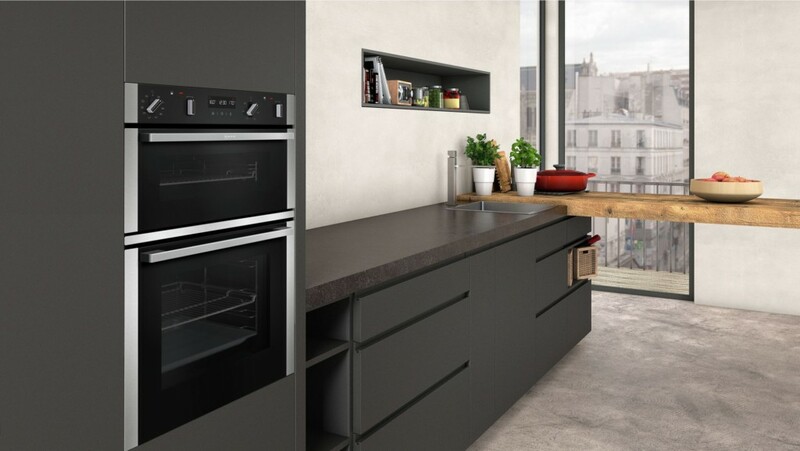 Neatly combining oven and control panel in a single appliance and framed by stainless steel strips, our ovens are a great fit for almost any kind of kitchen. 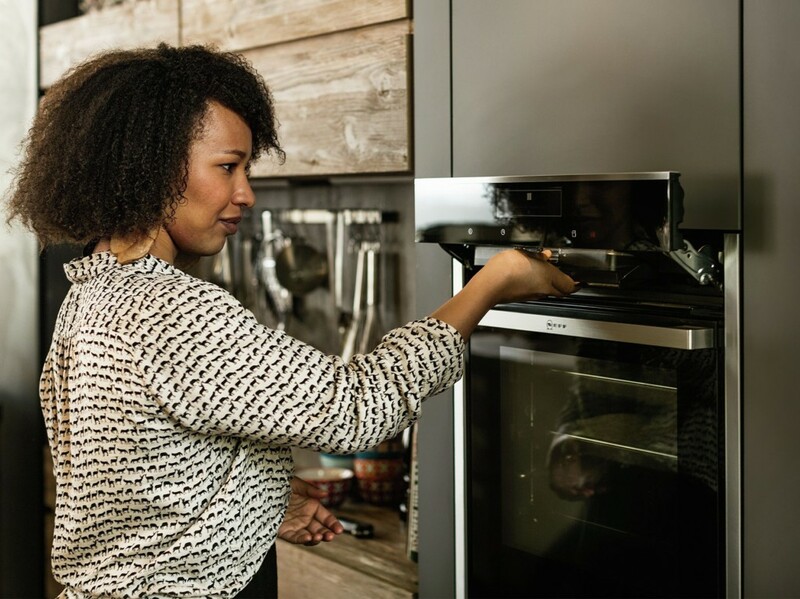 When it comes to the oven, you can choose between different features like our intelligent steam support VarioSteam®, or Pyrolytic Self Cleaning that makes tidying up after cooking a feast a breeze. A great meal is all about the ingredients. And it’s the same when it comes to cooking and choosing the right hob. If you want flexibilty, an electric hob might be what you’re after. Or pick one of our innovative gas or fast induction hobs. Can’t decide? 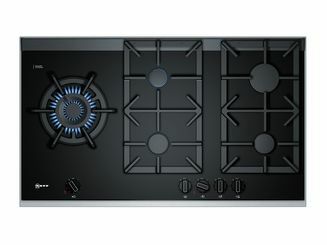 Then the Domino range might be the best hob for you, as it mixes all of the above. With their frameless design, our Ceramic hobs standout in any kitchen, and a whole range of options with up to 17 power settings makes preparing the next feast as easy as pie. And as cooking is all about creativity and individual taste, our expandable zone cater for pots and pans in all shapes and forms. 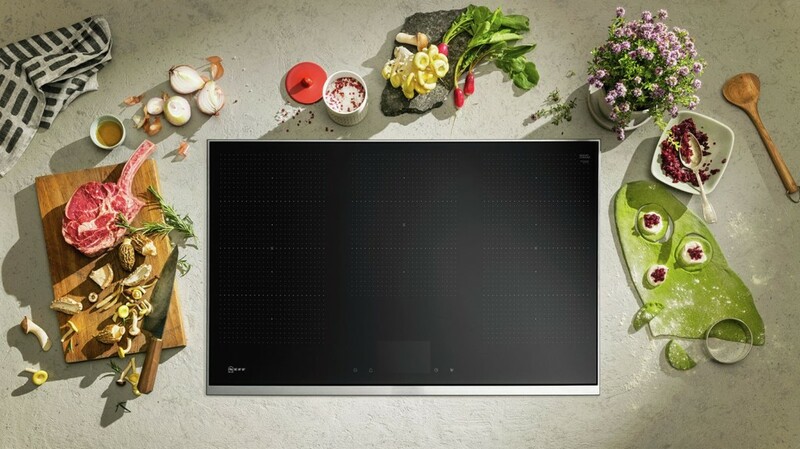 Better still, our enhanced touch control panel provides full flexibility over your cooking. 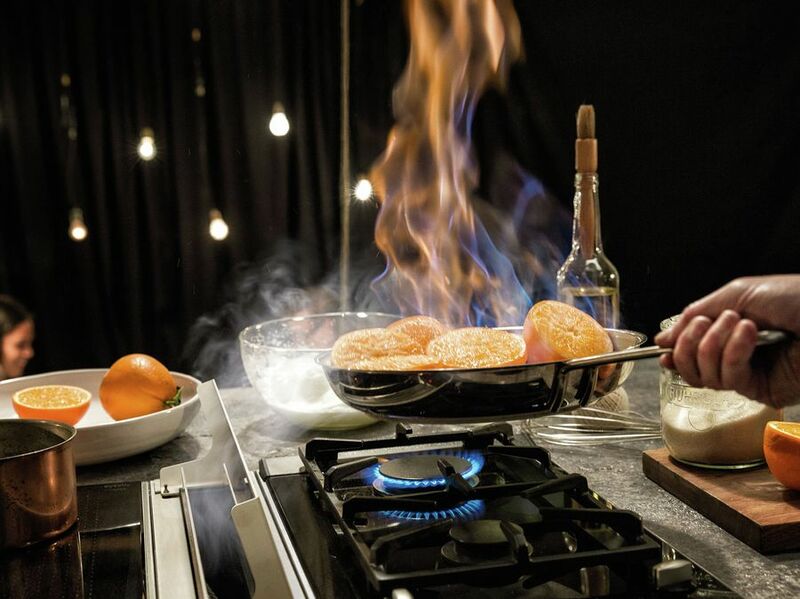 For some cooks, there’s nothing like preparing meals with flames. 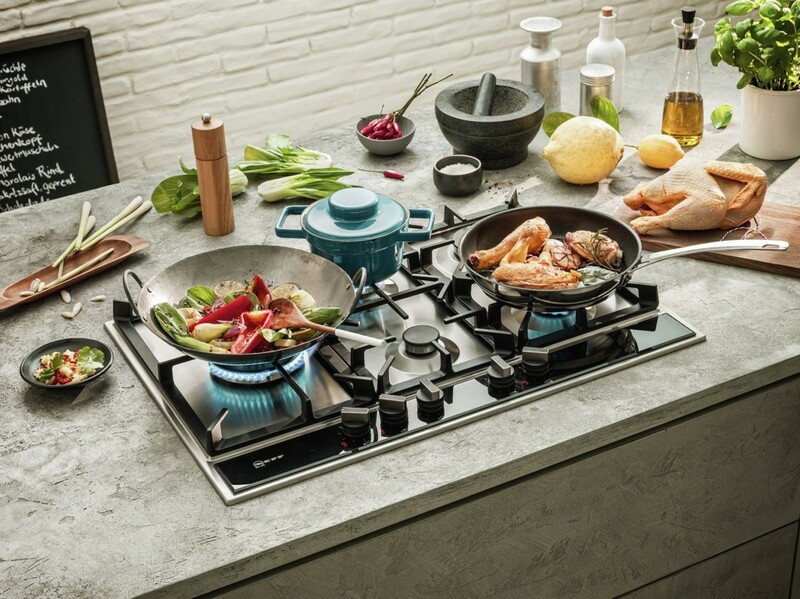 Our gas hob range provides you with the tool you need, no matter if you want stir-fry or slow-cook. 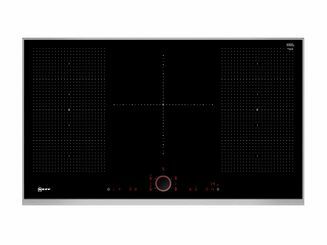 Our 9-level FlameSelect® allows you to adjust the flame just like on an electric hob, making cooking even easier. 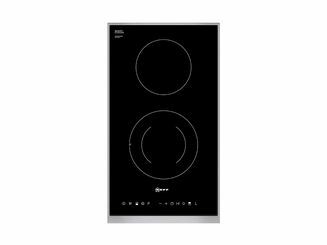 With a range of sizes available, our hobs are ready for almost any kind of pot you can think of. Like Asia style? With our Dual Wok you have two flame rings stacked on top of each other – an ingenuous idea to adjust two flames for one delicious task. Are you fond of exploring new and untried recipes and tastes? 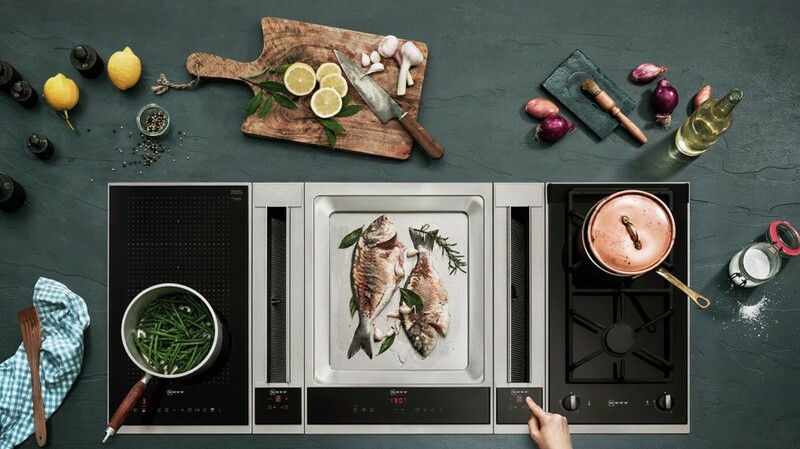 Our range of induction hobs lets you indulge each and every second of the cooking experience. 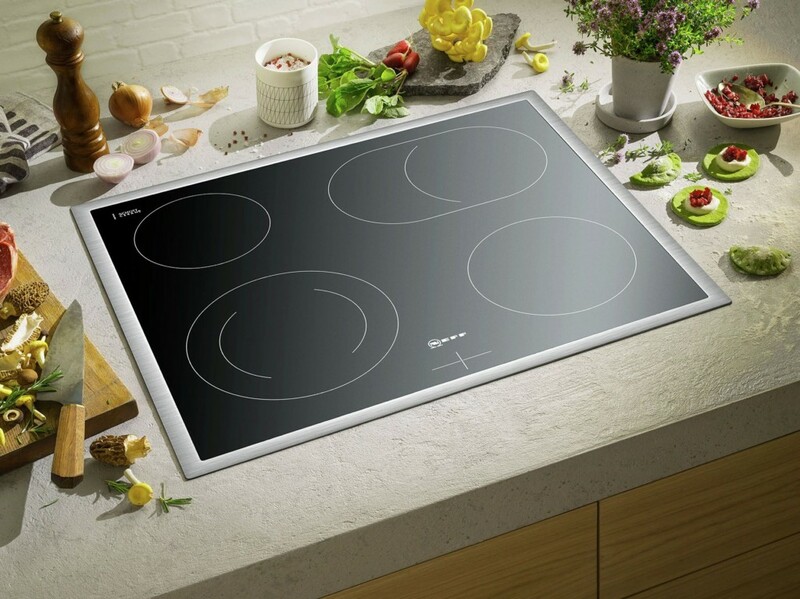 Our FlexInduction hobs allow you to move your cookware freely around on the hob. The pots are automatically detected and heat applied where it’s needed. But there’s more to our hobs to guide you to a tasty result. Take the TwistPadFire® which puts heat at your fingertips. A simple rotating motion with your index finger allows you to set the temperature. We know that when it comes to cooking sometimes only one option just isn’t an option. You want the traditional feel of using gas but also fancy Teppan Yaki? 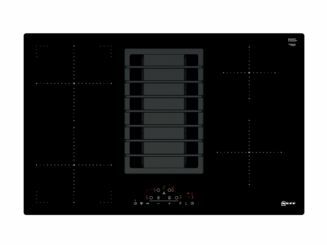 Our domino hob range allows you to combine all the flavours of cooking in one hob. Just mix and match – Domino is our tailored hob, giving you exactly what you need to cook up the meals you envisioned. Whether it’s FlexInduction, gas, wok style, Teppan Yaki or Ceramic style. 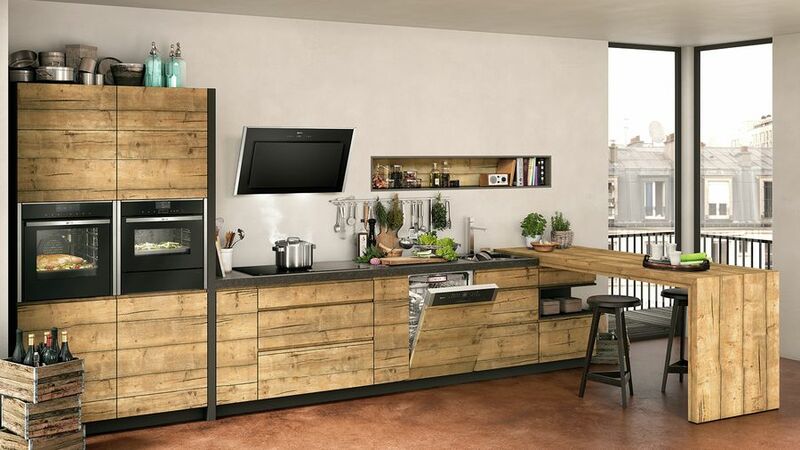 The domino range puts the world of cooking in your kitchen. There are many ways to keep cooking exciting. Having the right tools, for one. In our expansive accessories range, you’ll find pots and pans that we have created especially for our induction hobs. 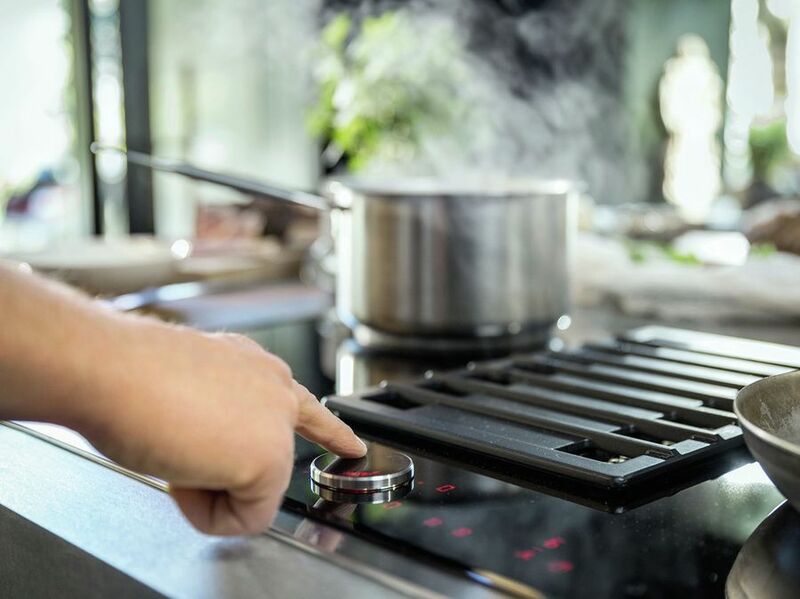 You can add a wok ring to your gas hob, find teppan yaki roasting dishes for your FlexInduction or choose from a selection of fine utensils like knives and spatulas. And when you’re done with creating your kitchen magic, we’ve also got the right cleaning and caring products to keep your appliance in great shape – for many cooking sessions to come. It’s amazing when a steak is sizzling in your pan, and the smell is part of an exciting cooking experience. But there are some kitchen odours nobody is too fond of. Enter our quiet but powerful extractor hoods. 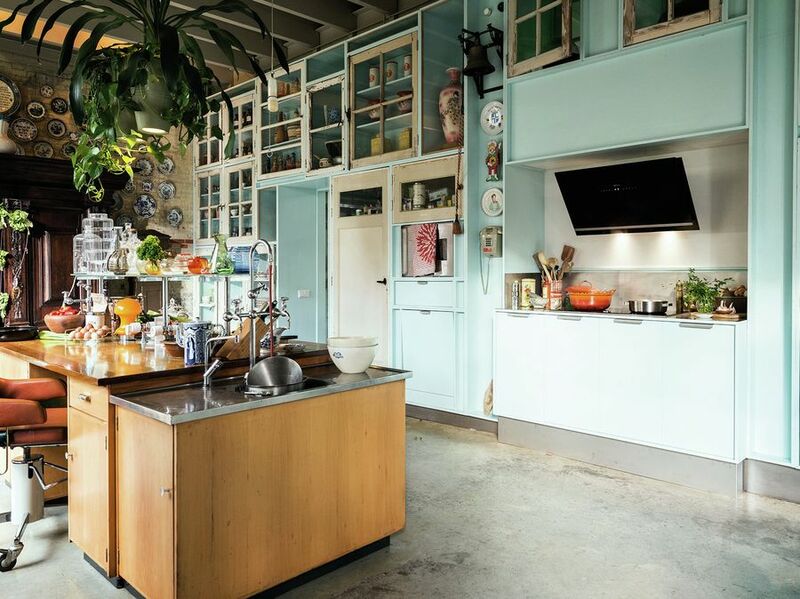 Choose between different sizes and models like the Chimney hood or Island hood – fresh air is guaranteed. When there’s a cooking session going on in your kitchen, all sorts of odours mix. So wouldn’t it be good if the atmosphere stayed fresh and inviting no matter what you’re up to? Our Wall Installation hoods are powerful, yet designed to work quietly and economically, leaving your kitchen air clean and pleasant. Do you want powerful extraction without distraction? Our range of hoods for integrated furniture installation are made for those who like a clean look in the kitchen. The hoods will blend into any surrounding and come with metal grease filters as standard. Every once in a while you can pop them into the dishwasher and continue to enjoy the breath of clean air. If you’re a sociable cook who likes to chat with guests while cooking, our Worktop Installation hoods might be just the right thing for you. The Domino hoods can be placed between two Dominos or, if you want even more variety, 2 hoods can be placed between three or four Dominos. The downdraft hoods provide worktop space and headroom. They are powerful and efficient, sucking in odours and kitchen smells. For a clean finish when you’re done, they simply disappear at the touch of a button. Some cooks like to stay in control of what’s going on around them. Taste the turnips, turn the veal and add some salt to the pasta. With our Ceiling Installation hoods, the hobs can be accessed from all sides. They are also very capable when it comes to keeping your kitchen free of steam and odours without taking up valuable kitchen space. Our range of Extractor hood accessories includes everything you need to keep the hoods in shape for years to come. You’ll find our specially developed active carbon filters for recirculation kits which remove odours from the air during cooking, as well as grease filters to keep your kitchen surfaces grease-free. For sparkling appliances in your kitchen, we also have stainless steel conditioning packs, cleaning cloths and degreasers. Our dishwashers are designed with Cookaholics in mind. That means that even the most bubbled-over oven dishes, baked-on ramekins and caramelised grill pans will still come out beautifully clean. Our range of dishwashers is available in two sizes, 45 and 60 cm, to suit individual requirements and the size of your kitchen. Our fully integrated dishwashers offer innovative programmes to take care of all of your cookware. 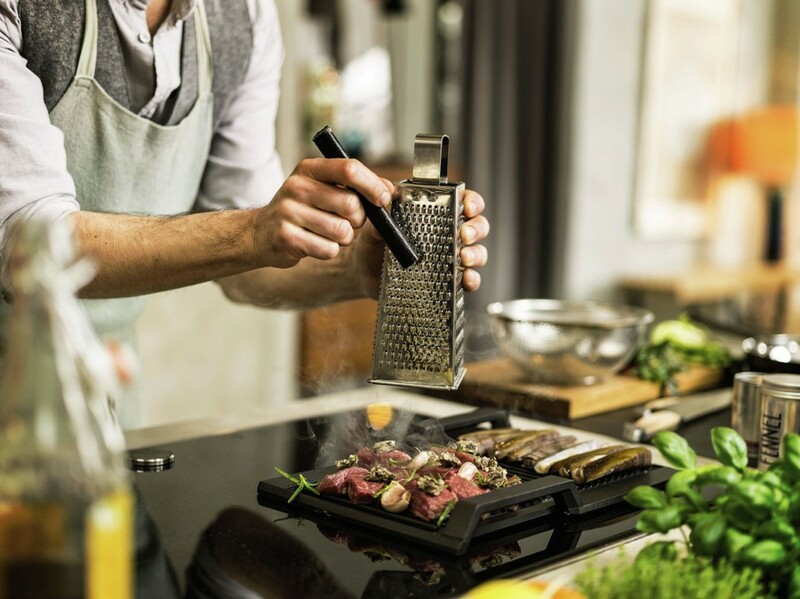 With settings for the most stubborn stains and intelligent care programmes for your most delicate glassware, we’ve created a cleaning solution for all of your everyday cooking and dining utensils. With an A+++ energy efficiency rating and Zeolith® mineral assisted drying, dishes are left beautifully clean without using excessive energy too. HygienePlus introduces a final rinse at very high temperatures to fight bacteria – perfect for baby bottles or chopping boards. You can even fit in bulkier items by folding down unused racks thanks to VarioFlexPlus. Providing easy access to a front control panel and seamlessly integrating with your furniture, our semi-integrated dishwashers a popular choice in kitchen design. Your pots, pans, crockery and glassware come out clean and dry, using green, efficient technology like Zeolith® – a naturally occurring mineral that naturally dries your cookware without using extra energy. And did you know that our dishwashers use just around 7 litres of water to achieve these sparkling results? That’s less than the average watering can. Meanwhile, this is all happening quietly. Our dishwashers emit as little as 42 decibels – equivalent to the quiet hum of a modern refrigerator – making your after-dinner conversation more pleasant. Fresh, seasonal ingredients are a staple in any NEFF kitchen. That’s why the right food storage is so important: all our models – whether it’s a large American-style fridge freezer that can cope with the demands of a hungry family, or a fridge freezer that integrates seamlessly into the kitchen furniture – give you the flexibility to keep your fruit, vegetables and herbs crisp and vibrant for longer. 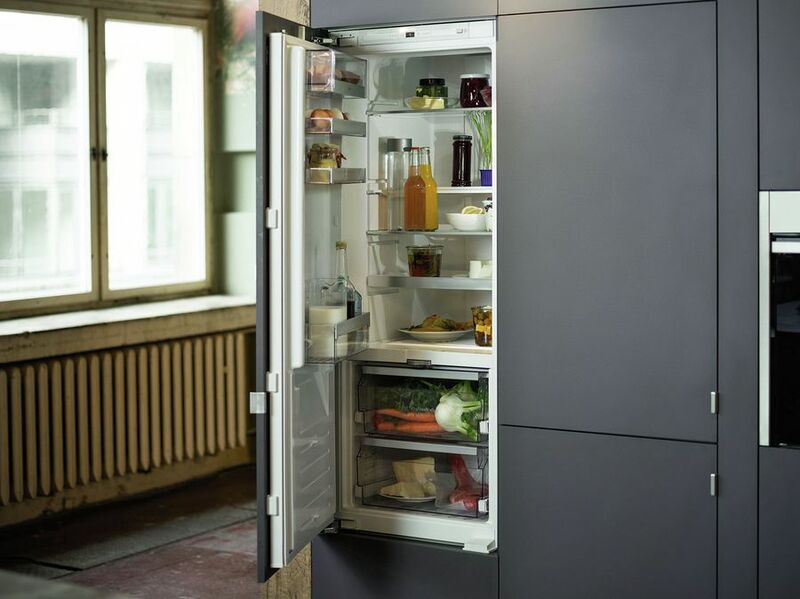 Cooking is all about new ideas and fresh inspiration – and our fridge freezers are no different. They are bursting with ideas to optimally store the food you love. You can choose between models that keep your ingredients fresher for up to three times longer with our built-in FreshSafe food preservation systems. Flexibility is key, so we’ve made it easier to reach for those pots and jars at the back of the fridge with our simple EasyAccess shelf. There is also a sectioned glass VarioShelf to adjust the fridge space to suit, and with our ingenious Slide&Hide butter compartment, the cover simply slides underneath, out of the way. The freezer section is also full of options to adapt to your needs. Whether you’re storing small ice cream pots, or a whole chicken – removable glass shelves and capacious drawers like BigBox help you create an ideal space for frozen goods of all shapes and sizes. With LowFrost, you hardly ever have to defrost your freezer. But when you do, it’s much quicker than before. Oranges that keep their vitamins locked in and fresh salmon that retains its vibrant colour – our fridges help you enjoy your food and, of course, your cooking to its fullest. Our FreshSafe food preservation ideas keep your ingredients fresher for up to three times longer. Choose between FreshSafe 2, a drawer with a humidity slider that keeps fruit and vegetables fresh twice as long, or FreshSafe 3, with two near-zero-degree climate zones that keep fruit, vegetables, meat and cheese fresh three times longer. MultiAirFlow distributes temperatures equally throughout the fridge, ensuring every leaf and every yoghurt pot is properly chilled. Stocking up your fridge with exciting ingredients for your next creation is simply a joy thanks to the pull-out EasyAccess shelf and the sectioned glass VarioShelf. The Slide&Hide butter compartment lid simply glides underneath and out of the way. So instead of fiddling with compartments, you can get straight to preparing your next meal. If you love cooking, you’ll appreciate a good freezer. After all, when stored correctly, frozen food can unleash its full flavour and lusciousness when you bring it back to the kitchen. That’s why our freezers are filled with functions to make storage more flexible and thawing effortless. Frost builds up very slowly, so you needn’t defrost often, but when you do, it won’t take a long with LowFrost. Or if you want to avoid defrosting altogether and spend more time whisking sauces or chopping tomatoes, we recommend NoFrost. It prevents frost building in the first place. Flexible storage and easy access is another bonus. Our VarioZones with flexible glass shelves can be adjusted to suit anything from smaller sorbet pots to larger containers -making it easier to find what you need. Larger items, like a frozen turkey can be stored in the, aptly named, BigBox. SuperFreeze reduces the temperature when fresh food is added – a nifty feature when you load the freezer after your shopping. If you are a passionate cook who likes to scan all your available ingredients at a glance, our American-style range is a great option. Our American-style models are all about convenience, with doors opening like a cupboard. 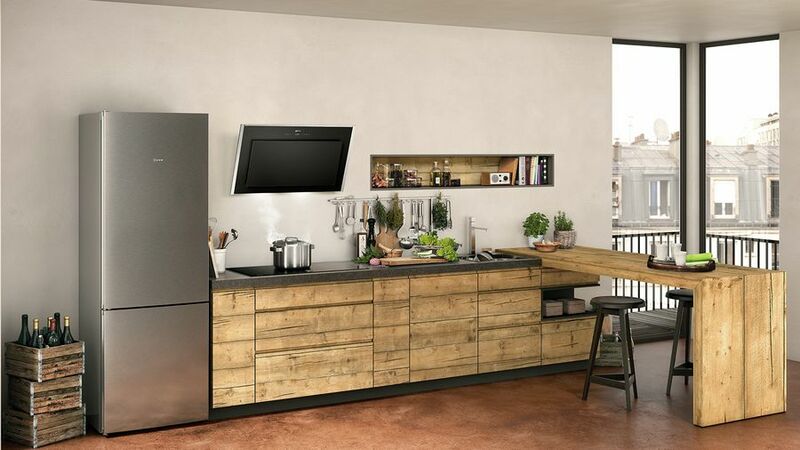 You can choose between our eye-catching free-standing stainless steel model, or incorporate your fridge and freezer into your individual kitchen design. Inside the American-style models, you’ll find FreshSafe 3 which keeps food fresh up to three times longer. There are easily accessible compartments with flexible, pull-out shelves, a wine rack, Slide&Hide butter compartments and LEDs to cast a pleasant light on the stored food. What you can’t see, however, is our promise to keep food at its peak for longer so you can make culinary magic.